Fenty Beauty is literally everywhere right now! And granted, this is probably the hundredth blog post you've probably read about the Pro Filt'r foundation from Rihanna's powerhouse of a beauty brand, but I couldn't not feature this slick tube of deliciousness on my blog. 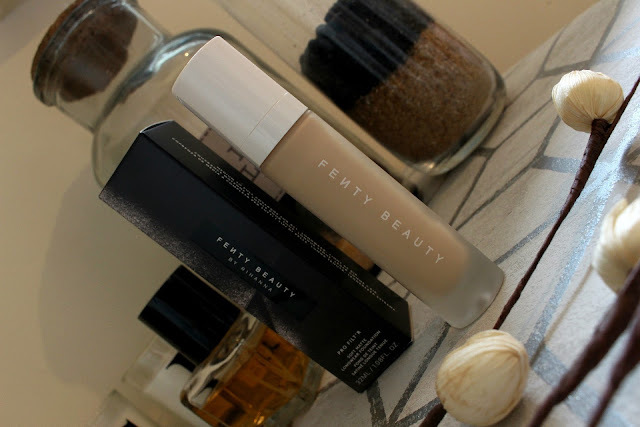 It was the buzz around Fenty Beauty's social media coverage which first attracted me to the brand. Inparticularly the impact it had on women even before the launch, if you've seen the video's and imagery circling Fenty Beauty's social platforms then you'll know! Rihanna's mantra for the brand is that women everywhere should be included, which I hold my hands up to and say 'amen sister!' Too flipping right we should! With forty foundation shades to her brand, Rihanna really is paving the way for the beauty industry - I think we're going to see lots more brands from now on creating much paler and much darker foundation shades, so no one is left behind (I can't help but think of the Titanic as I write that). I love the solidarity and inclusivness which comes from Fenty Beauty however a little part of me can't help thinking why this couldn't have been done sooner - None the less Bravo to Rihanna for being a total #GirlBoss & showing us all how it should be done! After seeing some of my fave Leeds Bloggers being invited down to the opening at Harvey Nichols (at 7am might I add - Eeek) and getting an insight into the fabulousness that is the Fenty Beauty brand, I knew I had to get myself there as soon as humanly possible. There were a few things that had caught my eye such as the killawatt highlighter and the match stix sets, but I knew almost instantly the best place to start with Fenty Beauty was with their renowned Pro Filt'r soft matte longwear foundaton. I was matched to the shade 150 neutral, which fits and suits my skint one perfectly! At the time we tried two other shades, but it was clear right from the get go that 150 would be the one for me. I've been using my Real Techniques miracle complexion sponge to buff the liquid foundation into my skin & find it provides me with both a full and even coverage. I'm enjoying that this is more of a full coverage foundation which if I'm honest isn't something I'd usually go for, I prefer something a little less heavy but surprisingly and thankfully for me, my skin still looks like my actual skin with this foundation. 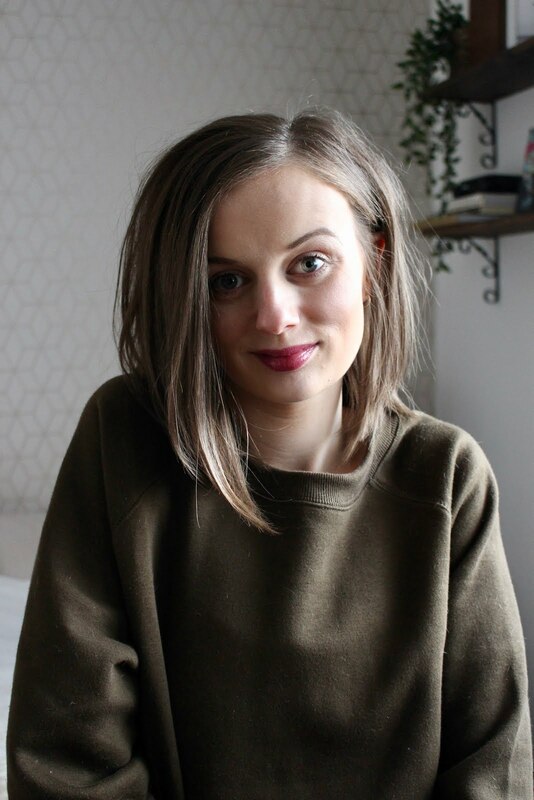 I'm always worried that fuller foundations will leave me looking doll like & without much definition to my face, but I have absolutely no worries with that when it comes to this foundation. It's very long lasting too, which it claims to be - I can quite happily apply the Pro Filt'r foundation before work at 6am and it'll still be looking perfectly fine when I'm back home on an evening. I have quite normal to dry skin which with a drying mattifying foundation can often be a worry, but again with this it's surprised me. I'm not 100% on how it would cope with oily skin, but for me it's an absolute dream! My only criticism, and it's not really a criticism, is that the packaging doesn't blow me away. I quite like the frosted glass, but I think the white plastic lid cheapens it a bit. But it's absolutely true what they say - It's what's inside that counts! And I'm more than happy with what's inside. This foundation is an amazing all rounder & one I believe I'm going to get so much use out of especially as we hit the colder months & I need something with a higher coverage. Bravo Rihanna, bravo! 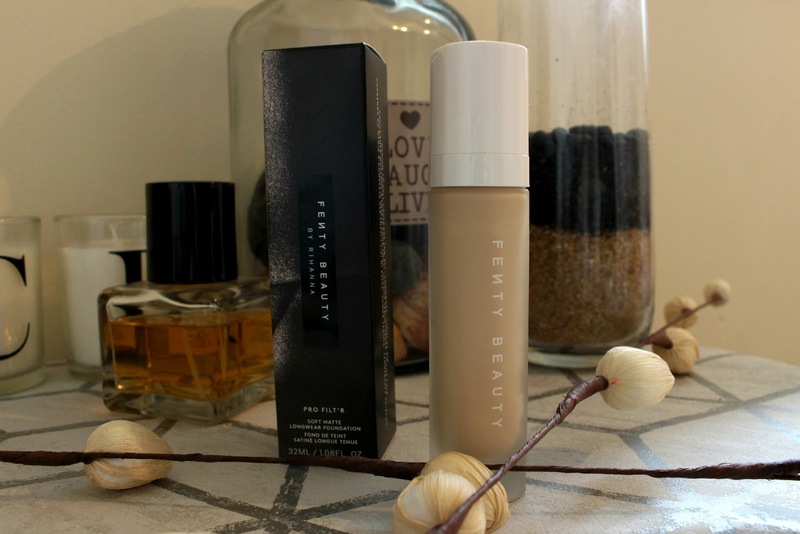 Have you tried anything from the Fenty Beauty range? 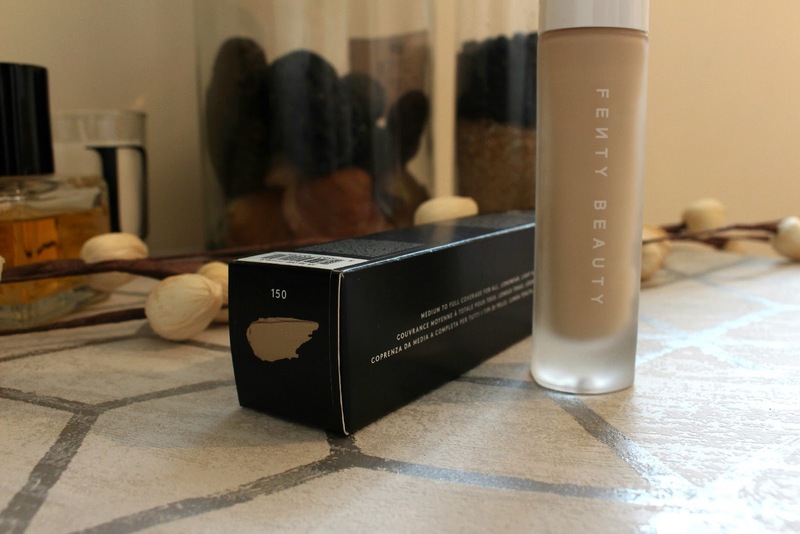 What do you think to Riri's 40 shade foundation range? 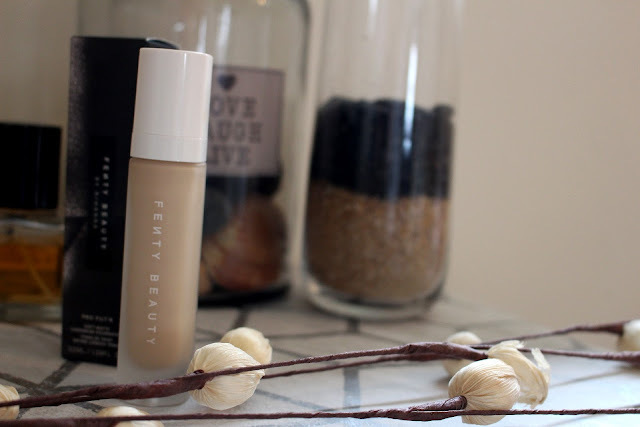 1 comment on "Beauty | 'That' Fenty Beauty Foundation"
I've always struggled with foundation being so pale so may have to give this a try. I don't understand either why a more diverse range of shades hasn't happened!